Living cells contain the biochemical systems for their own destruction, namely digestive hydrolytic enzymes. These include nucleases, polysaccharidases, phosphatases and proteinases. In mammalian cells these enzymes are stored in lysosomes. They are released and directed under controlled conditions to specific molecules to catalyse their hydrolytic degradation. In cell cultivation and protein extractions from cell culture the balance of these cellular systems are usually disrupted leading to uncontrolled enzyme release. This event may cause a rapid degradation of the desired product. The use of a proteinase inhibitors added to the cell culture or extraction purification batches may stop the loss of product by proteolysis. Aprotinin is a natural inhibitor of trypsin, chymotrypsin and plasmin. Many times dangerous substances such as dfp or pmsf are not warranted and aprotinin may be used instead. Aprotinin is the generic name for the basic trypsin inhibitor from bovine organs. Desert biological's aprotinin comes from new zealand bovine beef lung. Aprotinin exhibits a protective effect against proteolytic reactions during immunodiffusion, radioimmunoassay or enzyme linked immune assay procedures. Aprotinin is used to preserve platelet number and function for transfusion. In animal experimentation aprotinin has been used to preserve organs for transplantation. Protinases sensitive to aprotinin can easily be purified by affinity chromatography with immobilized aprotinin. Aprotinin may be used to inhibit proteolytic reactions during collection, preparation and storage of biological fluids and tissue extracts as well as purification of polypeptides and proteins. In cell culture media aprotinin inhibits degradation of proteohormones. It can also extend the life span of certain cells in culture. 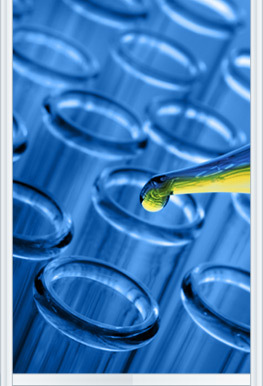 Desert biologicals aprotinin is manufactured in new zealand. The low incidence of bovine related disease in new zealand has created a strong international demand for animal derived biologicals. The meat and glands used are generally free from hormonal, chemical, antibiotic and heavy metal residues, thanks to new zealand's advanced animal husbandry practices.